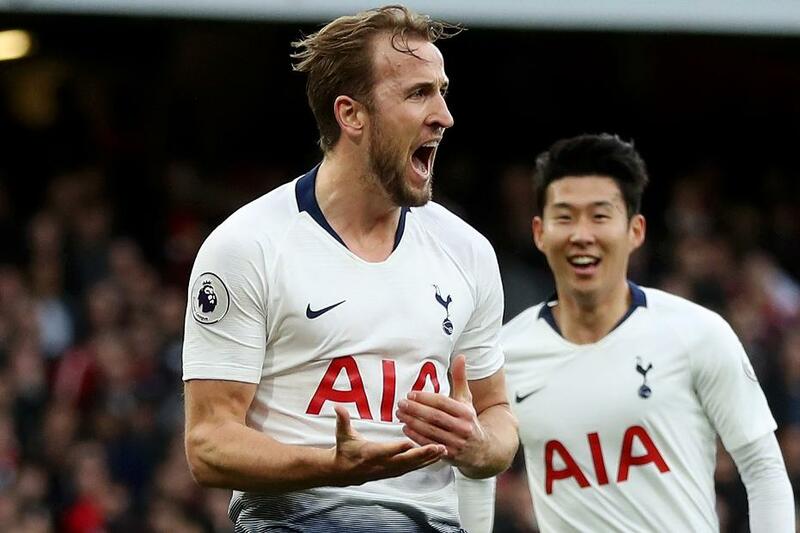 Harry Kane (£12.4m) is a big favourite for the captain's armband in Gameweek 15 of Fantasy Premier League ahead of the 18:45 GMT deadline on Tuesday, 4 December. The Tottenham Hotspur forward has scored in three of his last four appearances ahead of a home match with Southampton. Saints will be under the interim management of Kelvin Davis on Wednesday, following Mark Hughes's departure, and travel to Wembley Stadium having conceded 12 goals in their previous four matches. Notably, Kane excelled in the corresponding fixture last season, scoring a hat-trick in a 5-2 victory. Manchester City's attack will also be backed for their trip to Watford. The champions won 6-0 at Vicarage Road last season, with Sergio Aguero (£11.4m) producing three goals and an assist. But with the Argentinian a doubt, Raheem Sterling (£11.5m) and Leroy Sane (£9.4m) provide in-form alternatives. Over the last four Gameweeks, the pair have 48 and 39 points respectively. Liverpool's visit to Burnley raises the potential of Mohamed Salah (£13.0m). The Clarets have faced 298 shots this season, at least 60 more than any other side, and Salah has been a big goal threat away from home. In away matches, his totals of 26 shots and 10 shots on target rank second overall. Pierre-Emerick Aubameyang (£11.1m) heads to Manchester United in outstanding form. The Arsenal forward's 16 points against Spurs at the weekend has earned him 359,000+ new owners, more than any other player. Aubameyang has eight goals and two assists in the last seven Gameweeks. Gylfi Sigurdsson (£7.5m) is another alternative at home to Newcastle United. The Everton playmaker has 33 points in his last four matches at Goodison Park, including two sets of double-figure hauls. Holly Shand (@FFCommunity_): Sterling and Salah are the key options for me. Sterling has the form and Salah has the fixture. An early substitution for Salah in the Merseyside derby suggests he starts against Burnley, so it just swings the armband in his favour. If I had Kane, he would be my captain. WGTA (@WGTA_FPL): As a non-Kane owner, I take solace in Burnley's brittle defence going up against my captain Salah. He is still second for shots in the box among midfielders, despite a fallow period in the last four Gameweeks. Ash (@FPLHints): Having watched Aubameyang decimate Spurs, I think he's become fixture-proof and worth captaining, even at Old Trafford. He leads the scoring charts and can't be ignored any more. Ben Crabtree (@FC_CrabDogg): I'm going Kane. He has only two double-figure hauls this season but Southampton at home is a great chance to get a third. Lee Bonfield (@FPLFamily): Decision, decisions! Richarlison (£7.0m), Marko Arnautovic (£7.2m) and Kane all have the fixtures. Aubameyang, Sterling and Sane all have the form. Kane just edges it for me with a tasty looking match-up with Southampton. Neal Thurman (@nealjthurman): Given the rate at which Watford are giving up FPL points to forwards at home, among the worst in the Premier League, Gabriel Jesus (£10.1m) has to be on the shortlist for the captaincy. Sam Bonfield (@FPLFamily): It's Kane for the next few Gameweeks for me, especially off the back of the north London derby at the weekend. Spurs will want to bounce back and Kane will be their driving force.